Half the attraction of our Juniors’ Club sessions is not the sailing; it’s the socialising! 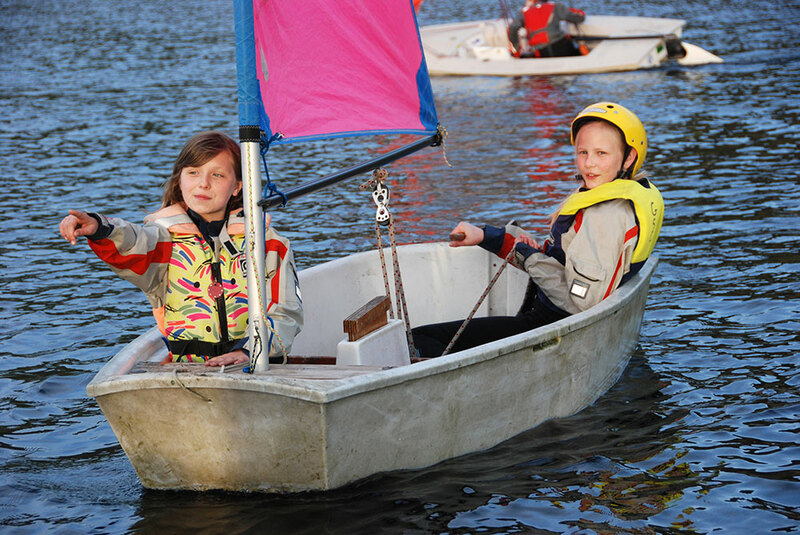 From Whitsun and throughout the summer, our Friday Nights are fun evenings for 8 to 18 year-olds with structured and supervised water-based activities for juniors with parents and carers in attendance. Grown-ups are also encouraged to help and gain skills too! Friday night sessions always end with food in the clubhouse or a barbecue in the Summer, and throughout the year, there are special events organised by our junior members. 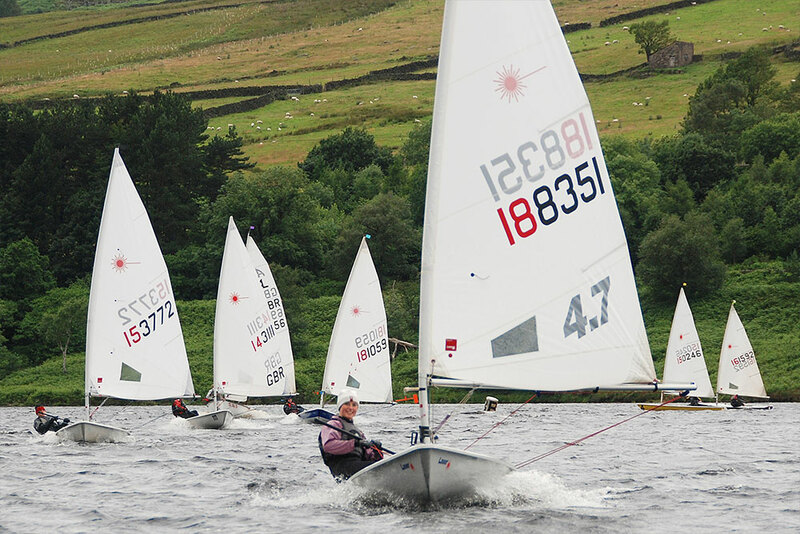 In late summer and autumn, Saturday afternoon race training sessions prepare our more competitive sailors to compete in the Glossop team against other clubs in junior events around the North West. 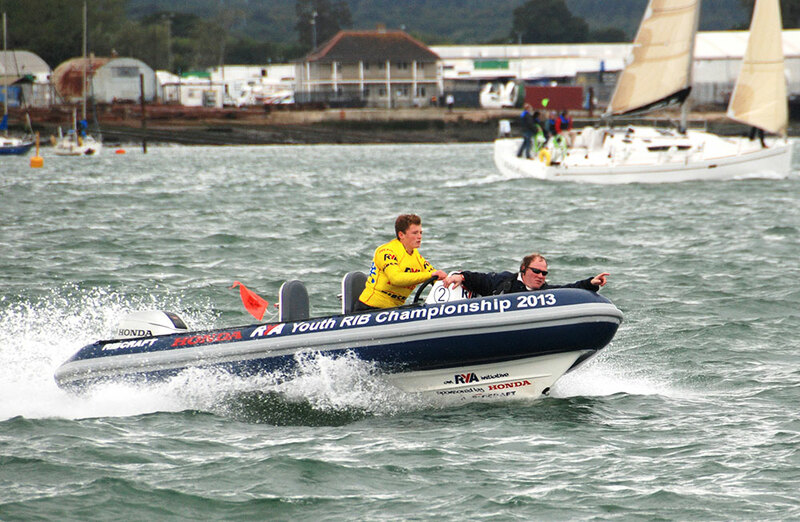 We actively encourage our juniors, and their parents, to become competent powerboat drivers and help us man the safety boats that are an essential part of ensuring safe sailing sessions. Most young people need no encouragement and enthusiastically take up the challenge! 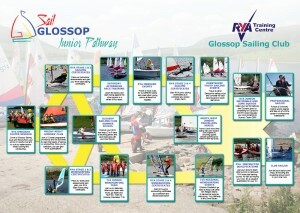 As well as offering RYA powerboat training courses, we encourage our juniors to compete in the Honda RYA Youth Rib Championship, an annual nationally competitive time trial around a set of marks: Glossop’s young sailors have consistently gained high places, and the club pushes hard each year for our young members to win. 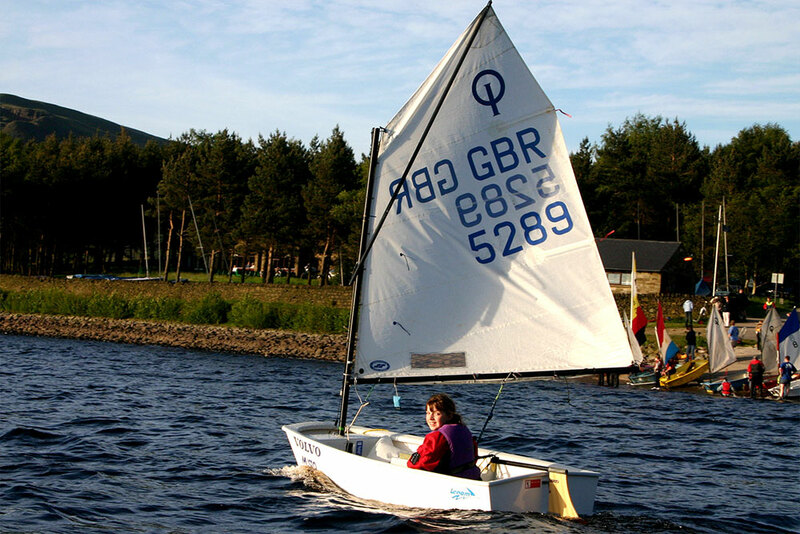 The Optimist is the original safe & stable flat-bottomed, sprit-sail dinghy, or more popularly: “the bathtub that breeds the best young sailors”. Raced competitively single-handed, it will hold two youngsters for training and is best suited to sailors between 6 – 12 years of age. 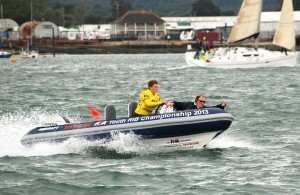 70% of medal winning Olympic helms started as Optimist sailors. Our juniors like the Topper because it is simple, safe and stable, inspiring confidence in young or novice sailors. The polypropylene hull is strong and light, and the rig is very simple and can also be reefed, so the boat is easy to handle on the water and ashore. 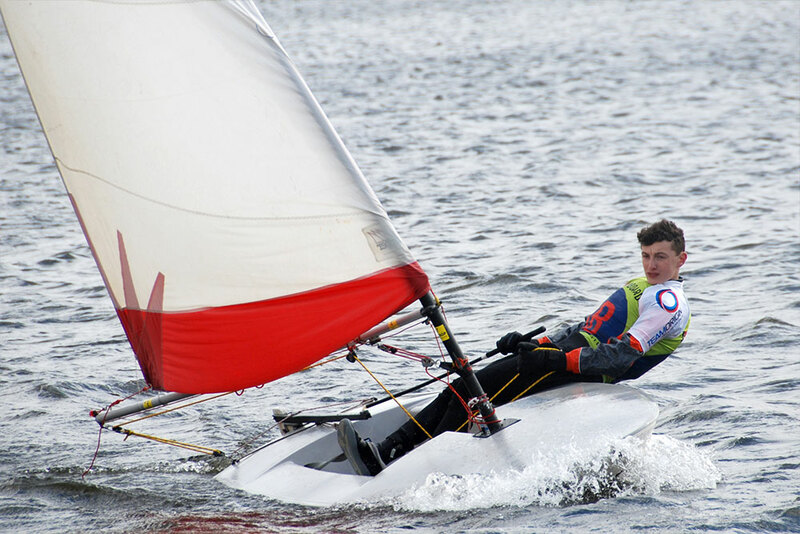 The Topper is the ideal single-hander race training dinghy as competence levels grow. Durability and reliability means that there is a large second-hand market & resale values remain high. 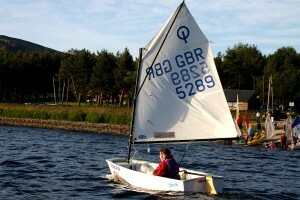 The RS Feva is the entry-level 2 or 3 sail asymmetric racing dinghy from Racing Sailboats. 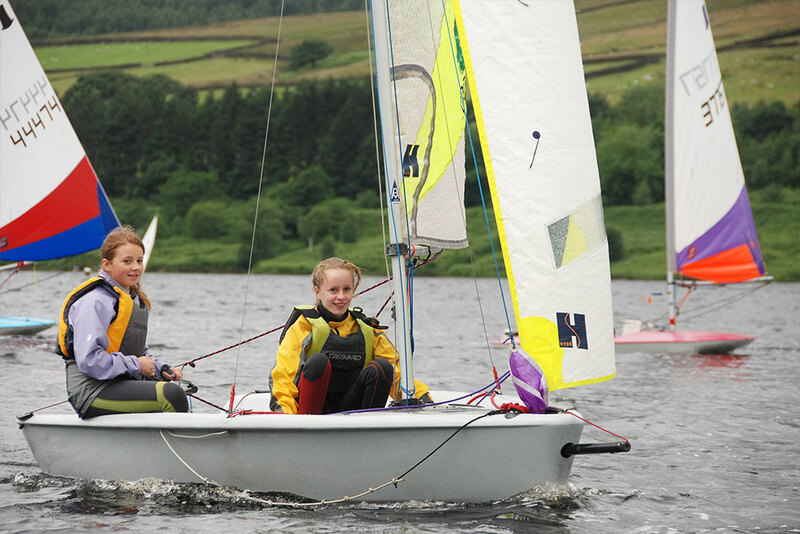 Easily handled by two young or teenage sailors, the Feva is confidence-inspiring and an ideal training boat from novice to racer experience. Rig options include reefing mainsail with optional jib & gennaker packs, or fully race-rigged with battened mainsail, jib and gennaker. 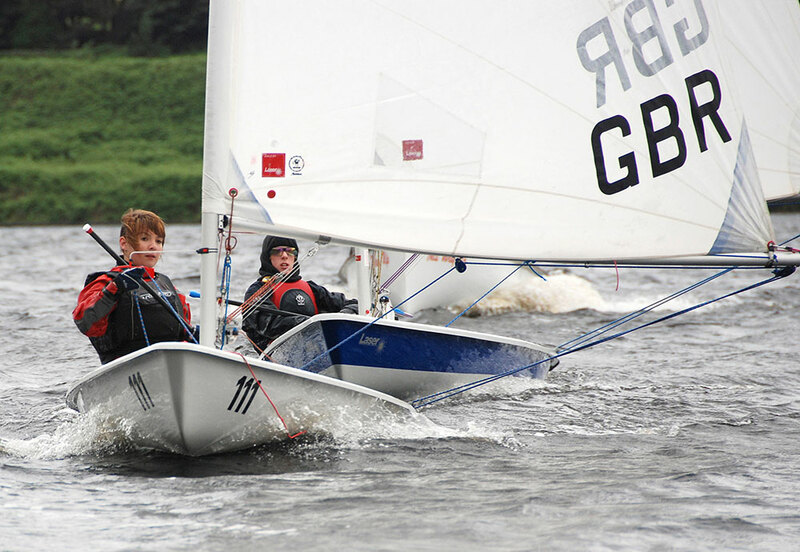 The Laser is a very popular one-design racing boat, and race-pack rig upgrade kits allow an older boat to remain competitive with the latest specification Lasers. It is easy to tow & handle, rigging takes minutes, the build and parts quality is excellent, virtually no maintenance is required and the resale value remains high. Although Lasers are easy to start sailing, the experience needed to beat the very best Laser sailors at every age level provides a challenge for many years. Three simple, interchangeable Laser rigs take the growing sailor from the Optimist & Topper to an introduction to youth Laser Class Racing events with the 4.7 rig, and then on to the Radial sail (5.7sqm) for teenagers and lighter weight sailors, or the full rig (7.06 sqm) for 12st / 80kg plus sailors. The hull remains the same, with the only difference being the choice of sail and lower mast.